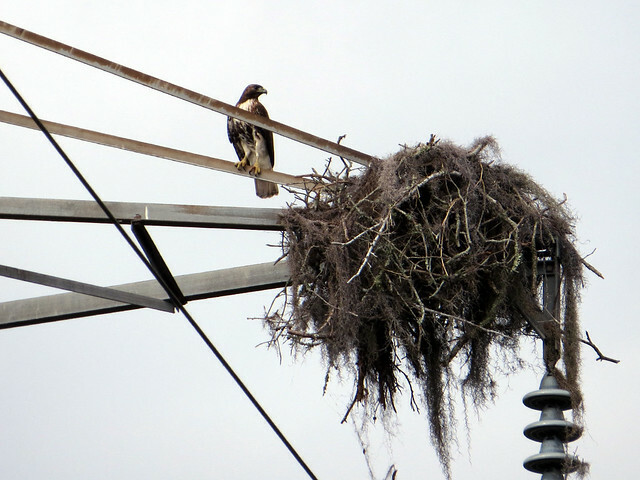 Osprey nests are very common here in central Florida, especially on utility structures. 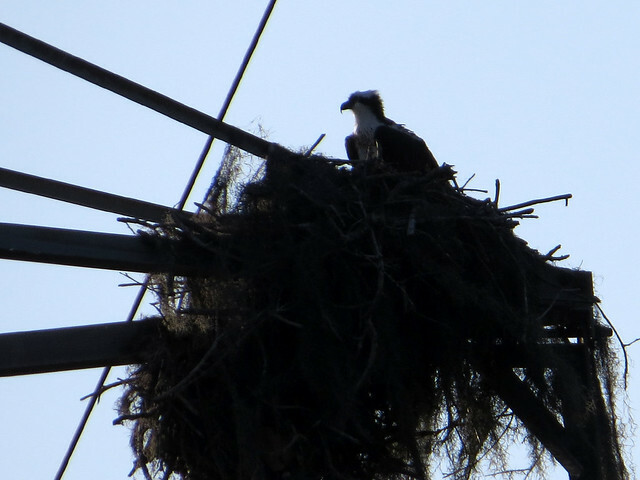 I wanted to monitor a nest or two for the citizen science project Osprey Watch this year, so when I noticed Ospreys visiting an existing nest that I pass by on my bike a few times a week, I took note. Unfortunately the sun is always behind this site from the bike path, so photos are usually lousy. In the following weeks I saw adult birds bringing material to the nest, or visiting the nest or structure, but I didn’t really stop to watch them as it didn’t appear that anyone was sitting on eggs yet. 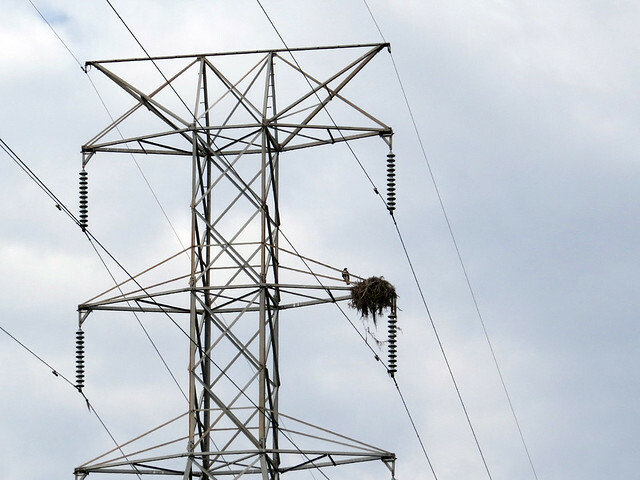 Then sometime last month I noticed a Red-tailed Hawk perched on the utility structure, not far from the nest. I wondered if the Ospreys had abandoned the nest site. Unfortunately I didn’t document this sighting or any that followed, being distracted with a pending house move among other things. Finally on March 9th, at the end of a late afternoon ride, I stopped to look at the site again. I saw a Red-tailed Hawk that appeared to be sitting inside the nest. This morning there was a bit of raptor drama at the nest site and nearby. First, as I approached the utility lines I was thrilled to see a pair of Bald Eagles fly over the road in front of me. They flew at a leisurely pace, but were soon followed by a Red-shouldered Hawk who was screaming bloody murder. The eagles continued on their way, but not before showing some aggression towards each other with some flipped-over talon waving. As I biked by the Osprey nest, less than a block away, I heard a Red-tailed Hawk keering. 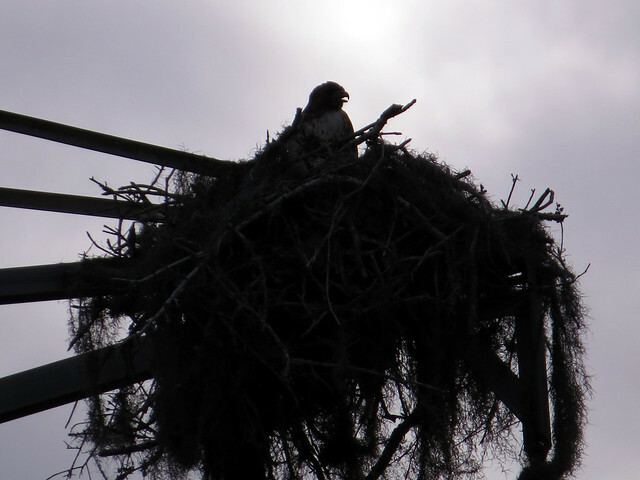 I stopped to look at the nest and saw a hawk perched on the structure, and an Osprey approaching the nest. Wow! I guess the Ospreys didn’t give up after all? The hawk took flight and then suddenly a second Red-tailed Hawk came out of the woods and gave the Osprey chase! The Osprey banked and went after one of the flying hawks. The raptors chased each other around for about 45 seconds before the Osprey and one of the hawks disappeared over the woods and out of my view. The other Red-tailed Hawk returned to the structure. Both species would be expected to be deep into breeding season now, and either could already be sitting on eggs, so I really wonder what is going on at this nest site. I also think it is a bit unusual for a Red-tailed Hawk to nest in such an open area, in a nest not self-made. I love all the raptors I get to see here on a regular basis. In fact, the above encounters were not even the best raptor sightings I had this morning! How’s that for a teaser for a future blog post?! Anyway, if you love raptors too, you should be following the Crossley ID Blog Tour, a celebration of raptors. The blog tour is for the upcoming publication of The Crossley ID Guide: Raptors. Be sure to check out the post this Wednesday on sister blog MagnificentFrigatebird.com! 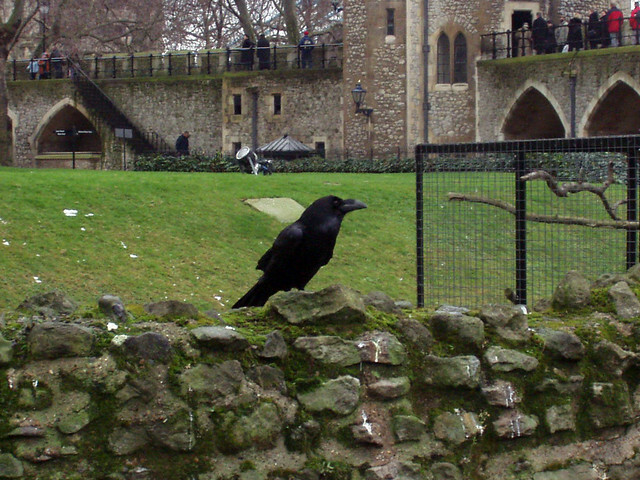 I can’t believe it’s been so long but this past January marked 10 years since my visit to see the Tower of London and the famous ravens that live there. 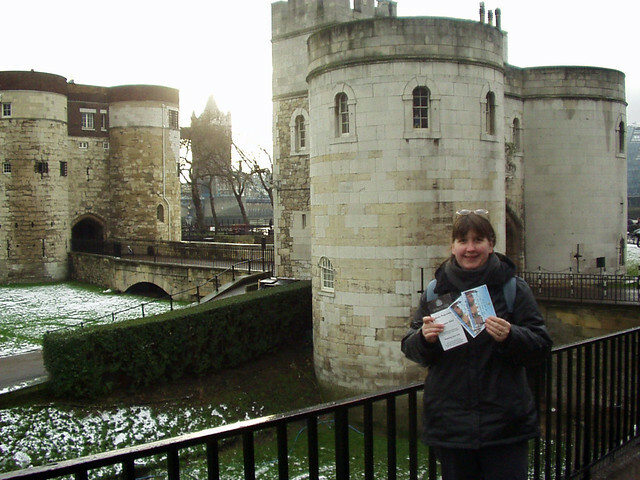 Arthur and I visited London several times during our years in Europe, but we only went to the Tower once. Here are some photos from our trip to the famous monument and its well-known residents. 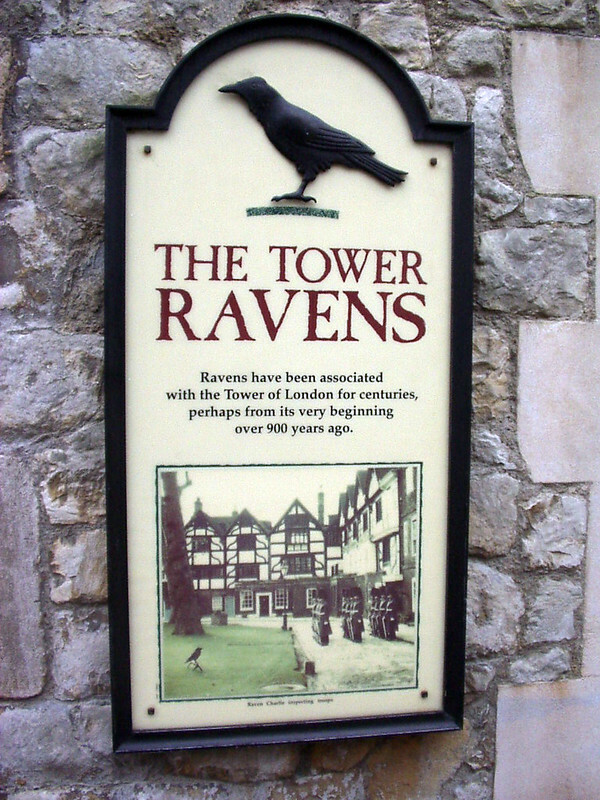 The reason for my nostalgia is that I recently had the pleasure to read Boria Sax’s book about the birds: City of Ravens. 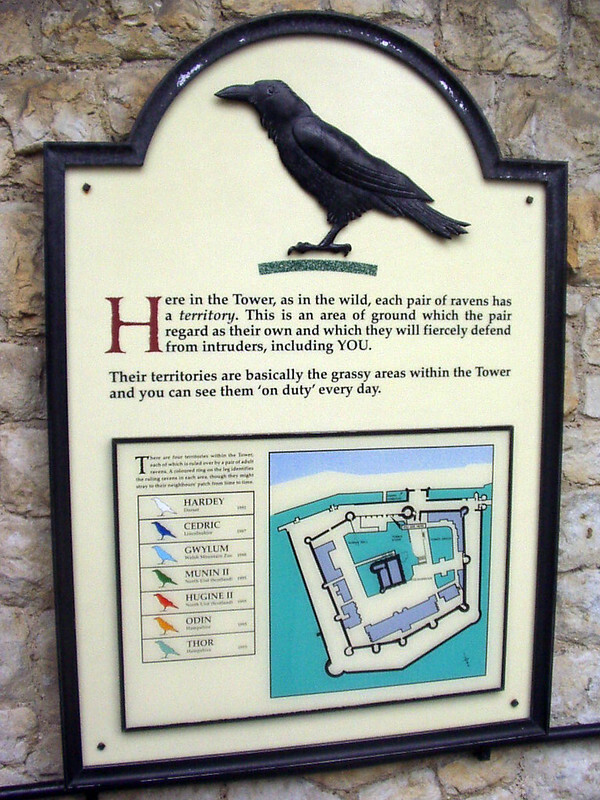 Skip on over to MagnificentFrigatebird.com to read my 3.5-star review of City of Ravens. At the end of last year I came up with some bird-type goals for 2012. How did I do? 1. I wanted to keep a BIGBY list for the year, with a target of 100 species. This was a huge success as I was able to find 115 species for my BIGBY list in 2012. W00t! I want to try this again next year, but I’m not sure I can do much better than this year’s total. There are 5 birds on my 2011 list that I didn’t find in 2012, but they were all hit-or-miss migrants. 2. I looked to add a few Florida specialties to my life list. Of the four species I mentioned, I added two of them: Red-cockaded Woodpecker and American Oystercatcher. I also added Bachmann’s Sparrow and White-crowned Pigeon… so I am calling this one a success too. Snail Kite and Burrowing Owl can wait. 4. My fourth goal was a free choice of three different activities. I wanted to volunteer with a rehab center and handle birds of prey again, or volunteer at a bird banding station, or get involved with a local bird club. Well, I’m well on my way with the first option. 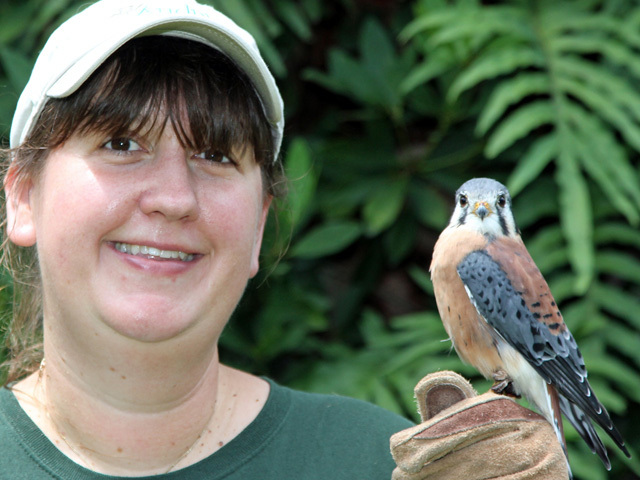 I started volunteering at the Audubon Center for Birds of Prey in Maitland back in February. So far I have been able to handle a pair of new little friends. I’ve also been able to help out with birds in rehab a lot more than I expected. I’ve been able to catch up a few birds, weigh them and hand feed, and do a couple of releases. I hadn’t included this in my goal but these are activities I very much enjoy at my volunteer position. Local banding stations are welcoming of volunteers, but none are as close to our home as I’d like. I’ve also been on a couple of bird walks and attended some club programs, but I haven’t joined a birding club yet. I really miss my old club (Lake-Cook Audubon) — but they may have spoiled me for any other bird clubs. Anyway, the objective here was to do one of these things, so I’m calling this goal a success. 5. Finally, I set an extremely modest goal of 23 birds for the Bird-a-Day Challenge. This was another huge success as I made it all the way to May 24th, reaching 144 birds. Coming up: my bird-type goals for 2013. Did you have any goals for 2012? How did you do? Lovitch writes in a familiar tone which makes even the most technical topics easy to follow and understand. Each chapter discusses skills that build upon previous concepts, tying everything neatly together in the end. […] I enjoyed reading this book and highly recommend it to other birders who want to go further in this hobby. Read my 4.5/5 review of Derek Lovitch’s new book here: How to Be a Better Birder. I didn’t manage to accomplish all of my goals for 2011. So what? Here’s what I’m going to go for in 2012. 1. I plan on keeping another BIGBY list in 2012. My target for the year is 100 species. 2. I’d like to add some Florida specialties to my life list: Snail Kite, Red-cockaded Woodpecker, and Burrowing Owl. And I’ve just got to finally see an American Oystercatcher in 2012! 3. Even though I failed to meet my goal to read / review / cycle out 20 books in 2011, I’d like to get back on track. I’m setting my goal here at 20 book reviews again, but I’m not going to worry too much about the “cycling out” part this year. 4a. 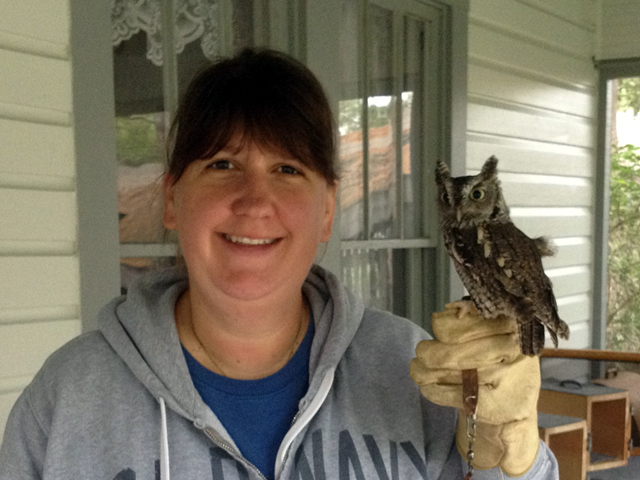 Handling birds of prey and volunteering with a wildlife rehabber. 4b. Volunteering at a bird banding station. 4c. Getting involved with a local bird club (Audubon). 5. I’ll be trying the Bird-a-Day challenge again, with a very modest goal: beat last year’s pathetic total of 23 birds. 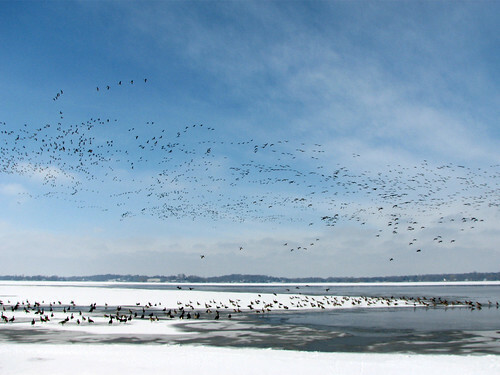 Do you have birding goals for 2012? I know birders are going to be taking the eBird Challenge or the One-a-Day eBird Challenge, and others will work on getting their minimum 20 Bird RDA of each and every day. How about you? Let me know in the comments below. When I made my list of birding goals for 2011 back in December 2010, I had no idea that I would be moving from Illinois to Florida in the middle of the year. Even with that fairly major disruption, I didn’t really do too badly with my goals. 1. I wanted to get my life list in order. I expected this would take at least several weeks, but I went on an eBird binge and accomplished this goal before January was half over! 2. I wanted to read, review and cycle out at least 20 books. Here I failed rather miserably. I ended up reviewing just 11 books. 3. I wanted to improve my raptor handling skills, with a few specific tasks I wanted to accomplish: handle birds into and out of travel crates; handle a bird during flight training; and have one of my bird pals eat a meal while on my glove. Helping out with a few programs and the Raptor Internship at FCWR, I got to handle plenty of birds in and out of crates. I moved away before getting to work on the other two, but during my visit in November I gave Meepy a rat while she sat on my glove. She wasn’t overly interested so I proceeded to remove her equipment, both Meepy and the rat resting on my glove. After I got Meepy’s second jess removed, I offered the rat to her again. She was free to go but she took the rat and then she did something very cool, she snapped the rat’s spine! Of course the rat was already dead, but that was Meepy’s first action after taking the rat from me. I was wowed. She held onto the rat for a moment and I felt she was not going to eat it while still on my glove. I raised my arm and she flew to her perch with the rat in her beak. That was pretty awesome. I never got to work on flight training with any birds, so that is one I’ll have to save for the future. 4. I also wanted to improve my bird banding skills. I was only able to help out at the Rollins Savanna MAPS station one day (plus a short training period), and I haven’t visited a banding station here in Florida yet. Another goal unfortunately unfulfilled, for now. 5. I wanted to keep a BIGBY list for the year, with a target of 75 species. I set that number when we were still in Illinois, of course. I met this target, and then some, with a total of 88 BIGBY species for 2011. 6. My 2011 Bird-a-Day list pooped out after 23 days. I hadn’t set a specific goal here, but this was pretty pathetic. In my defense, my life was really, really hectic those first weeks of the year. 7. Finally, and a bit tongue-in-cheek, I wanted to keep up with my blog reading. While I ended up adding a bunch of new Florida bird bloggers to my regular reading, I didn’t fall too far behind at any point in the year, and I’m happy with that. Coming up: my birding and blog goals for 2012. Did you have any goals for 2011? How did you do? At the end of last year, I came up with a short list of birding goals for 2011. Now that the year is about half over, and we have just relocated from northern Illinois to central Florida, I thought it was a good time to review how I’m doing so far. I had seven things I was going to work on for the year. So how’s it going? 1. I wanted to get my life list in order. What I thought would take several days spread over a few weeks took just a couple of days. By January 10th I had entered my old checklists into eBird and even came up with some of my milestone birds. I’ve since added a couple more: ABA #250 was Greater White-fronted Goose and World #550 was Eurasian Tree Sparrow*. I’m now at 263 ABA birds and 559 world birds. 2. I wanted to review and cycle out (get rid of) at least 20 books. With eight reviews published for the year so far and three ready to go, I’m just barely on track with the reviewing part. I’m not exactly sure where I stand on the getting-rid-of part, but I suspect not good based on the number of moving boxes labeled Amy’s bird books. 3. I wanted to improve my raptor handling skills by performing a few new tasks, including handling birds in and out of travel crates, handling a bird during flight training, and having a bird eat a meal while on my glove. (That last one is more about getting into a comfortable relationship with a bird rather than a handling skill.) I was only able to do the first skill here, multiple times and with a lot of success. Yay! Although the opportunity to try the other two tasks didn’t come up, I was able to improve my handling skills a lot by helping out with the FCWR 2011 Raptor Internship as an informal assistant instructor. 4. I wanted to improve my bird banding skills by performing a few specific tasks while volunteering with the MAPS banding station at Rollins Savanna this summer. Unfortunately I will not be able to attend more than the training session we had at the end of May and the first session in early June, so this goal will go unfulfilled… for now. 5. I vowed to keep a BIGBY list for 2011. That’s been a bust so far, although with little effort I reached 60 species out of my goal of 75. I just didn’t make time for local birding. I’ve updated the list with a few new Florida yard and neighborhood birds. We have a couple of nice parks within biking distance from our new place that I hope to visit often… as soon as I acquire a bike here. 6. I attempted the Bird-a-Day Challenge 2011, pitifully going bust on January 23rd. *I’m sure I saw these in Europe but I never actually recorded it on a checklist until the Illinois birds. For my birthday last month Arthur and I spent the day doing a little birding and raiding a few bookstore clearance sales. We started out with a very nice walk at Grant Woods, where early Red-winged Blackbirds were singing in the grassland. It was also nice to see a White-breasted Nuthatch, which we haven’t seen around our yard for several weeks, plus a nice flock of Cedar Waxwings and American Robins nomming berries. Both of these were in the parking lot (as we were finishing up our walk, naturally). Next we stopped at Pistakee Lake to check out the waterfowl. Near our vantage point we saw a small group of Common Goldeneye. 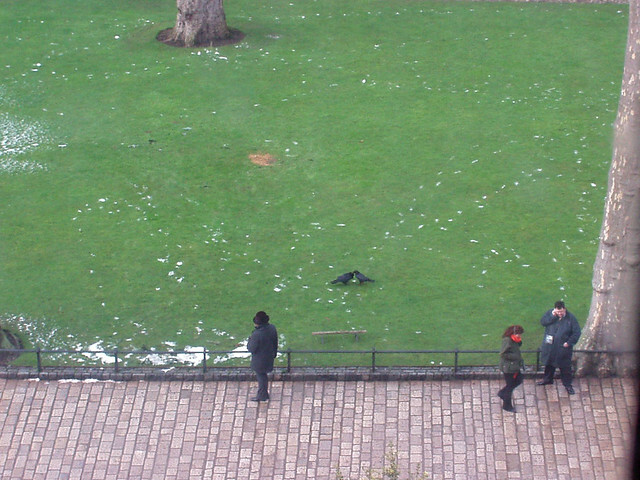 Several males were wooing females, dramatically throwing their heads back and then diving after each other. I’d never seen this before and I was totally enchanted. 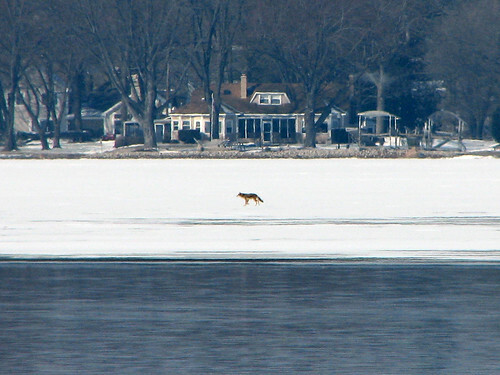 While I was scanning through huge numbers of Canada Geese, Arthur spotted a coyote on the far side of the lake, trotting along the ice. As I was watching the coyote, Arthur made two more great finds. 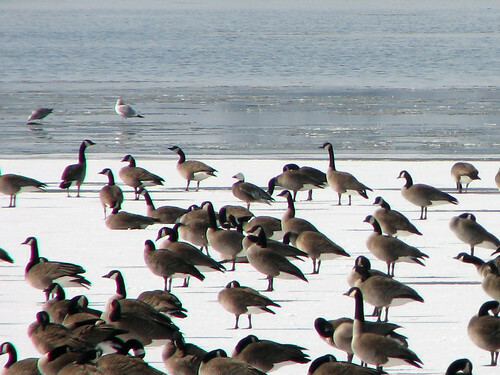 First, he picked out a Snow Goose between the hundreds of Canadas. Then he spotted three Greater White-fronted Geese, first in flight and then refound loitering on the ice (I managed to take just one lousy picture of Greater White-fronted Geese). 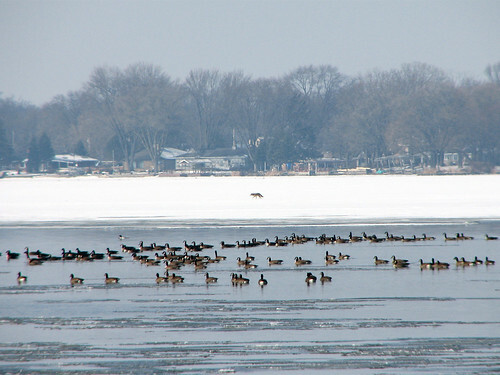 Other waterfowl included Mallard, scaup, Ring-necked Duck, and tons of Common Mergansers. Eagle-eye Arthur found ANOTHER coyote on the far side of the lake. This time the coyote blended in perfectly with the surrounding grasses and was impossible to see without the scope. 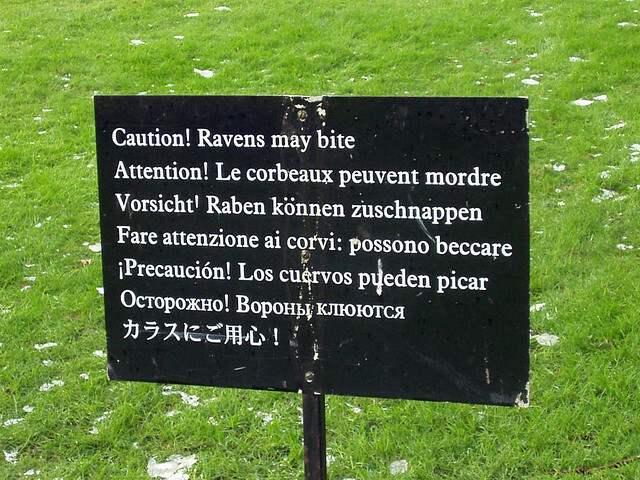 Shortly before we left, something spooked the geese, and many of the birds took flight. The honking was pretty incredible. After the waterfowl stop, we loosely followed the Fox River south in search of bird… books. We were looking to take advantage of the unfortunate Borders shop closings in the Chicagoland area. We decided to check out the bird sections at a few of them. It was a successful mission. 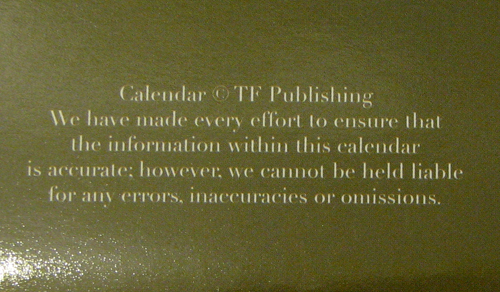 Calendars were on sale for $1. 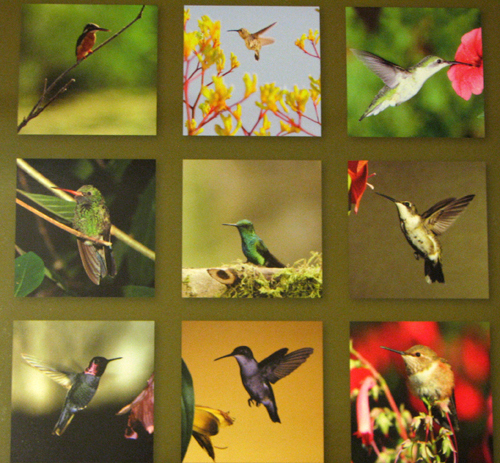 I looked for bird calenders and found only one, a wall calender simply titled, “Hummingbirds.” I was amused by the thumbnail photos on the back, one of which shows a bird that is not a hummingbird. Can you tell which one doesn’t belong? … and my dreams of suing them for millions of dollars vanished before my eyes. So all of my 2010 birding goals were not exactly met. So what? That’s not going to stop me from making goals for 2011! In 2011 I shall update my eBird checklists to include ALL of MY OWN sightings – in other words, get my life list in order! Again with the books! In 2011 I shall read, review AND cycle out at least 20 books (not necessarily the same 20). I reviewed 15 titles in 2010. I have a couple of book reviews waiting in the wings already, plus a couple of ringers (in the form of novelty books) to review. One thing that was totally not on my goal list last year was anything to do with raptor handling or bird banding, two things I got involved with during 2010. I have some goals in mind for both of these, but a lot depends on opportunities that come up with the groups I volunteer with, which I don’t have much control over. But I would like to try and increase my skills in both. So the following goals are more like nice-to-haves. In 2011 I would like to improve my raptor handing skills by performing the following tasks: handle birds into and out of travel crates; handle a bird during flight training; and have one of my bird pals eat a meal while on my glove. In 2011 I would like to improve my bird banding skills. I helped out at a small MAPS station here in Lake County last summer and I hope to do so again this summer. I was happy to have the chance to learn from a relatively large group of experienced volunteers and banders. I hope to get some more hands-on experience this year, by safely removing at least five birds from a mist net (last year I only completely removed one bird!) 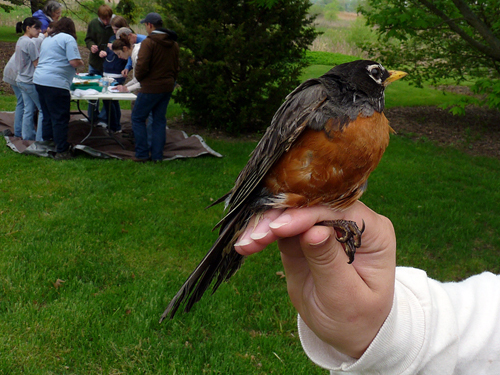 and by banding at least 25 birds (last year I banded ~20). I would also like to attend a training session at the Sand Bluff Bird Observatory in the spring, but given the distance, that might be tough (if it’s even offered). I’ve got to have at least a couple of actual birding goals on this list, right? So I’m going to keep a BIGBY list in 2011. I hope to reach 75 species on my 2011 BIGBY list. I am going to take the Bird-a-Day Challenge 2011. I’ll be lucky to make it two weeks into January, but it should be fun to try. 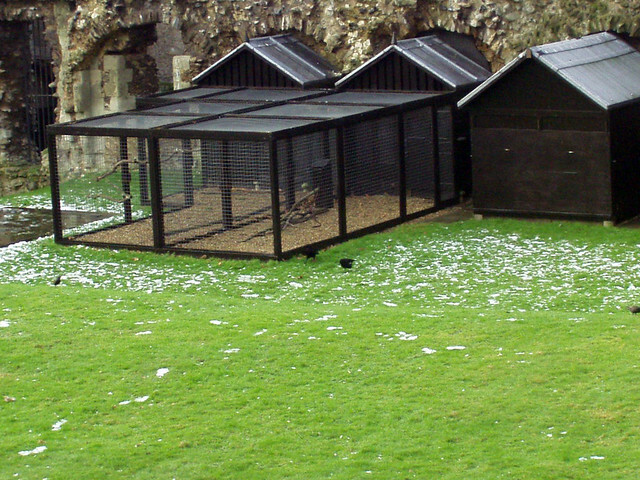 What are your bird-related goals for 2011? Last December I came up with a few birding-related things I hoped to accomplish during the coming year. My targets weren’t too lofty, really: use eBird; read some books; see some birds. So how did I do with my 2010 Birding Goals? I started using eBird regularly right from the start, but on repeat visits to regular birding spots, I didn’t keep regular lists as the year wore on. In my initial blog post I expressed some frustration in understanding certain nuances of eBird, especially when it came to bringing up reports. Happy to say I got the hang of it enough to be able to find what I’m looking for, mostly, but sometimes it’s still a small struggle to find what I need. I can use it, but it doesn’t come naturally just yet. With a total of just 122 checklists entered for the year, representing an estimated 85% of my birding trips, I’d say the eBird goal I set for myself was met, but just barely. 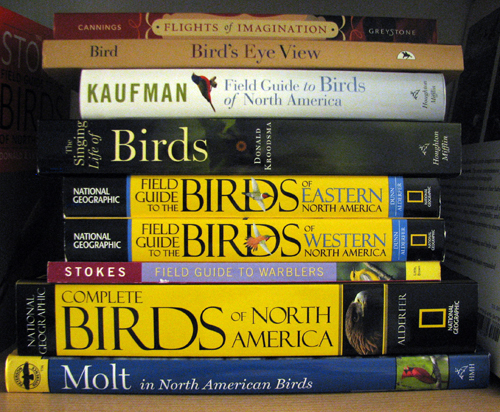 Another goal I had was to read most of my birdy natural history books. Total failure! What once took up just over a shelf in my office now occupies an entire case plus. I did end up cycling out quite a few books out (see Book Reviews Revisited), but I took in far more. Book shelf space is a small issue, though, and I am happy with some great titles I managed to snag this year, even if I didn’t manage to read everything I wanted to. Lastly, I hoped to see 200 birds in Illinois AND get my life list up over 500 birds. This was kind of a wonky goal, seeing as how my life list isn’t really recorded very well in the first place. I share most sightings with Arthur, who keeps a list with Birdstack. He has a bird or two on me, but I was using his list as a basis, saying at the end of last year that 13 new lifers were needed to hit 500. Together we got 44 new species which brings Arthur’s life list up to 545. Yeah, something’s not right with the math, I know. I can say with certainty that MY OWN Illinois list for 2010 only reached 165 species, and MY OWN world list for 2010 was 235 species. So, another big all-around fail. Of course two failures and one just-barely met birding goal don’t mean all that much, really. 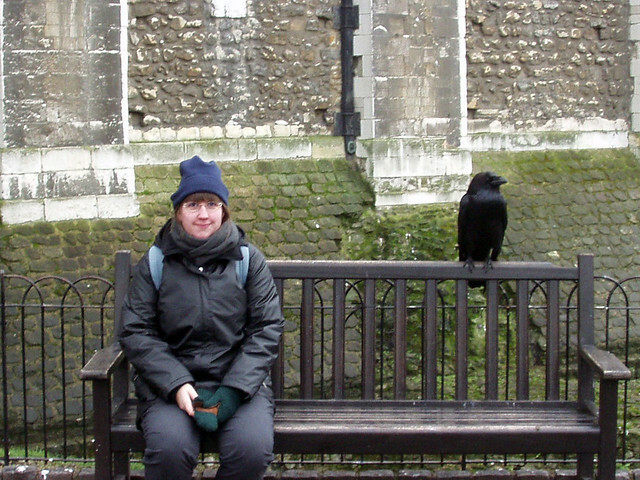 I certainly don’t feel like the birding I did in 2010 was any kind of failure, especially since I learned a lot (!!) and had a lot of fun (!!). Those are the only goals that matter, anyway, and they will remain year after year. 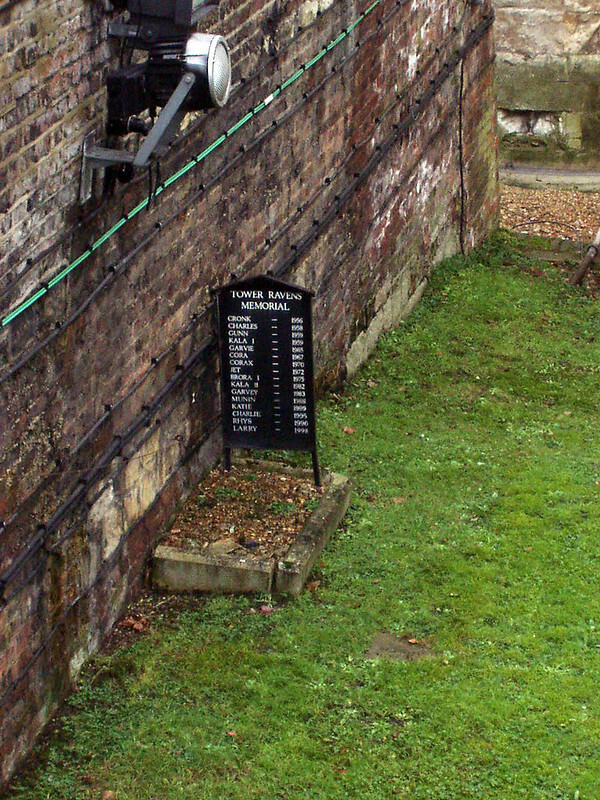 Did you have any birding goals for 2010? How did you do? I’ll post my own goals for 2011 tomorrow.